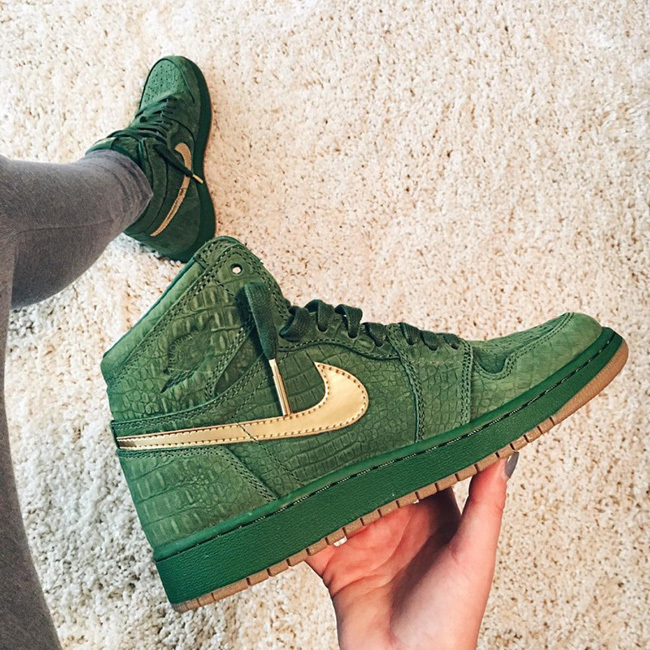 The Air Jordan 1 ‘Green Croc Suede’ was spotted about a year ago from Michael Jordan’s daughter, Jasmine Jordan. Now we take another look at this exclusive Jordan 1. 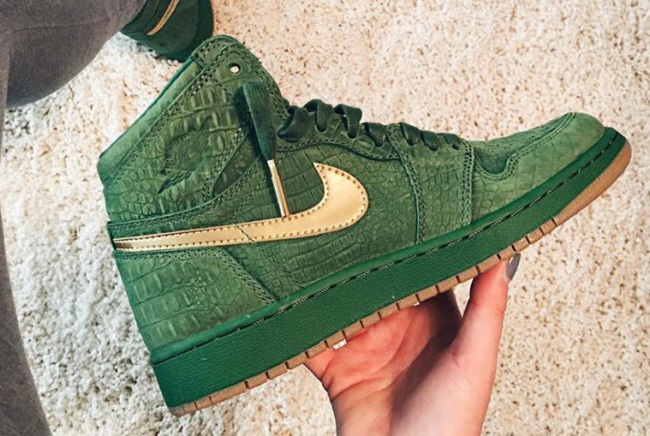 What is kind of odd, the Air Jordan 1 Green Croc Suede was seen for the first time almost a year to date. Instead of someone with the last name of Jordan showcasing the shoes, it’s Jordan Brand PR Samantha Baker who is showing us this Air Jordan 1. Looking closer at this Air Jordan 1, they feature a reptile textured upper along with Green suede throughout. In addition we have Metallic Gold that lands on the lace tips and Nike Swoosh. Finishing this pair off is a Gum outsole. At the time of writing, it appears that the ‘Green Suede Croc’ Air Jordan 1 will be a Friends and Family launch and will not release to the public. However, if something changes we will let you know.